Kronos Quartet and its artistic director/founding violinist David Harrington have long been known as interpreters of music from around the world, expanding the string quartet repertoire with works from across genres. Nonesuch, the Quartet�s longtime label, celebrates this remarkable curiosity in the group�s 40th anniversary year with two releases: the Kronos Explorer Series five-CD box set and a new album, A Thousand Thoughts. A Thousand Thoughts is a look at Kronos� geographically wide-ranging sources. It features music from 14 different countries, including China, India, Sweden, and Vietnam. The album includes the four cellists who have been in Kronos Quartet over the last 36 years: Joan Jeanrenaud (1978�1999), Jennifer Culp (1999�2005), Jeffrey Zeigler (2005�2013), and Sunny Yang (2013�present). Ten of the album�s 15 pieces are previously unreleased. For 40 years, the Kronos Quartet�David Harrington, John Sherba (violins), Hank Dutt (viola), and Sunny Yang (cello)�has pursued a singular artistic vision, combining a spirit of exploration with a commitment to continually re-imagining the string quartet experience. 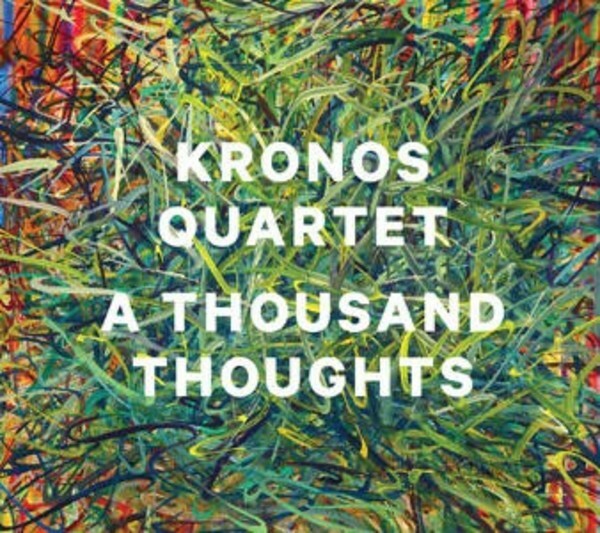 In the process, Kronos has become one of the most celebrated and influential groups of our time, performing thousands of concerts worldwide, releasing more than 50 recordings, collaborating with many of the world�s most accomplished composers and performers, and commissioning more than 800 works and arrangements for string quartet. In 2011, Kronos became the only recipients of both the Polar Music Prize and the Avery Fisher Prize, two of the most prestigious awards given to musicians. The group�s numerous awards also include a Grammy for Best Chamber Music Performance (2004) and Musicians of the Year (2003) from Musical America.